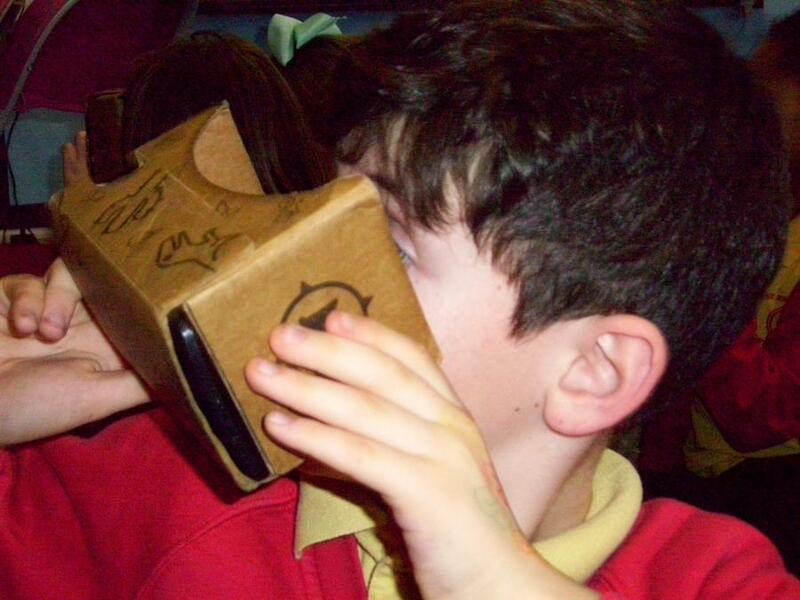 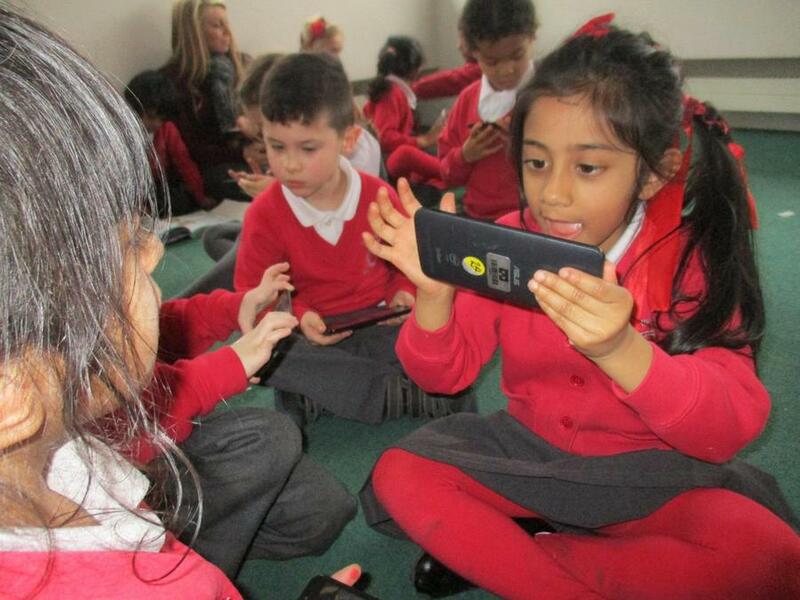 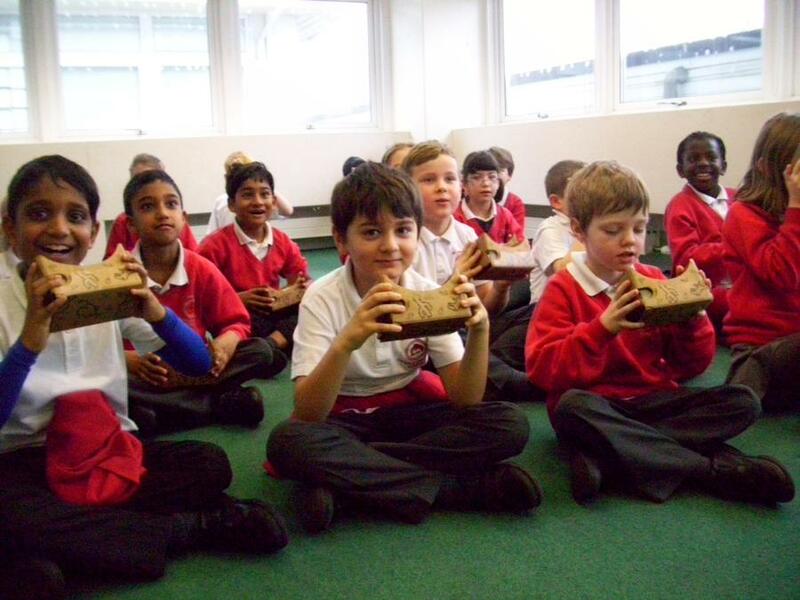 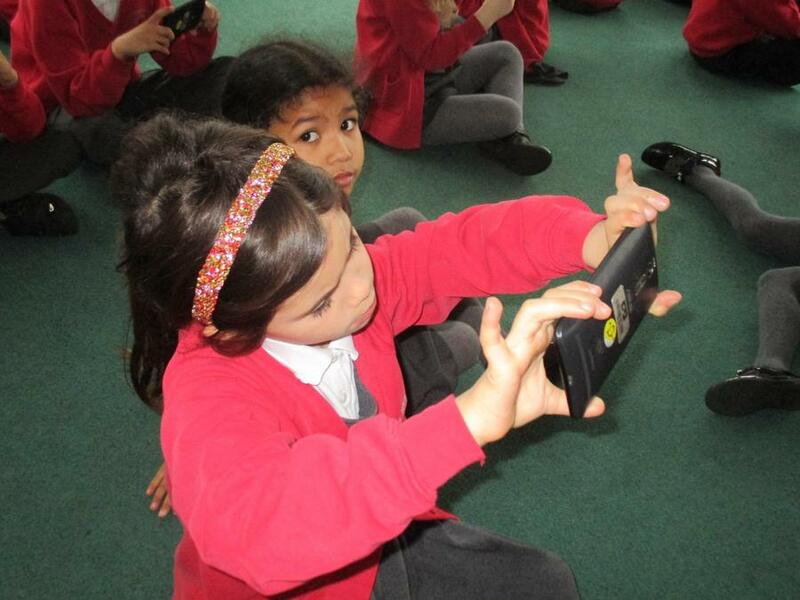 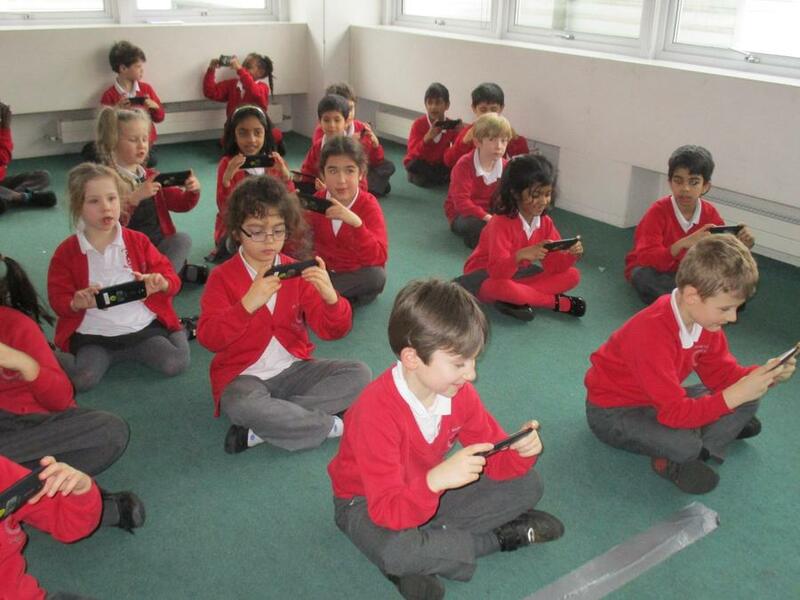 Children from Year 1 up to Year 6 all had a 'Google Expedition' session on Tuesday. 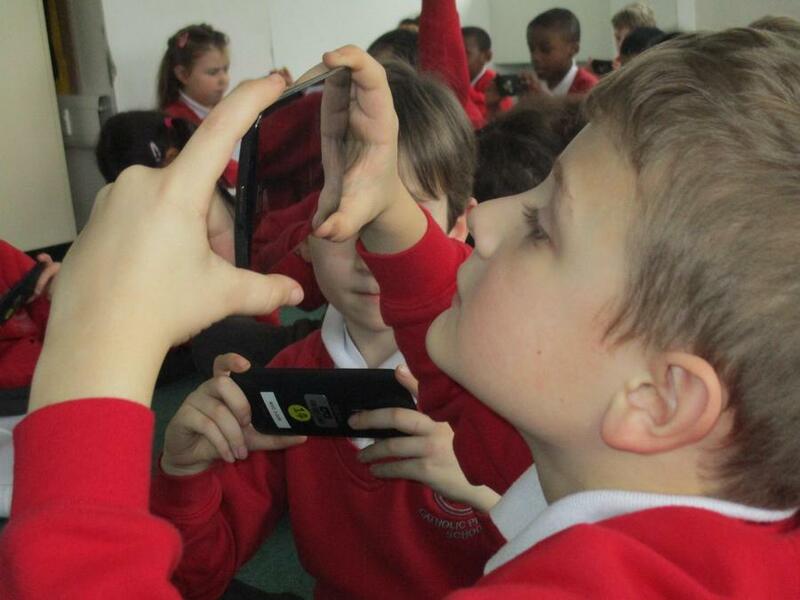 They were each given a Virtual Reality headset clipped onto a smartphone enabling them to view images in a very wide sphere by looking up down and around. 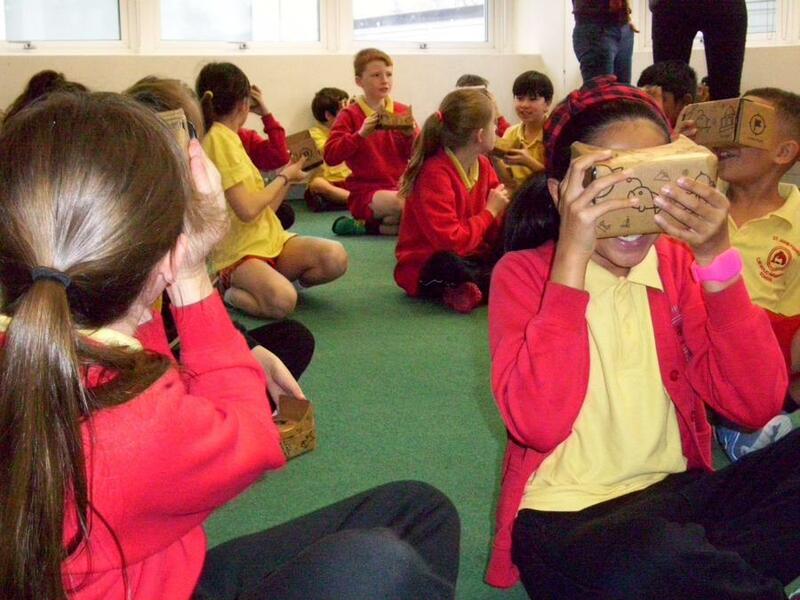 Their virtual 'destinations' included the Arctic, the Solar System, Dinosaur Museums, the Digestive System and Volcanoes. 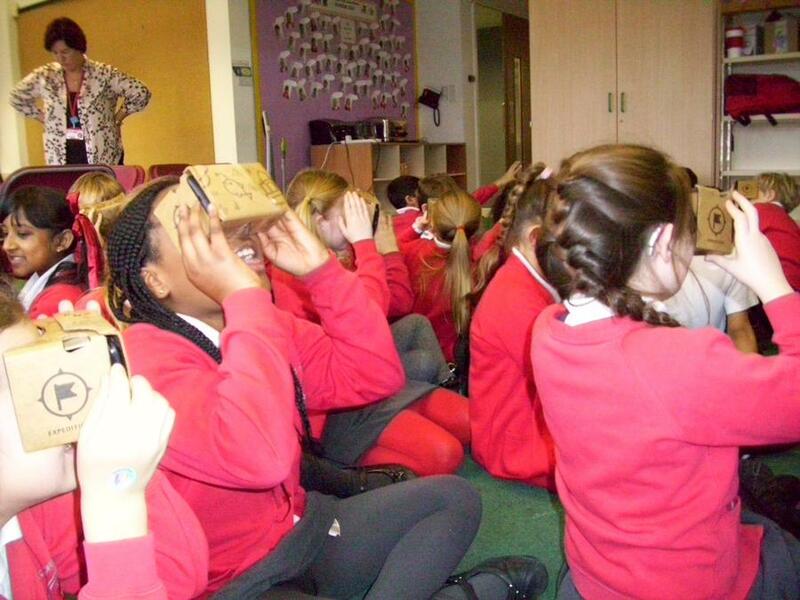 Children were heard squealing with delight and reaching out with their arms as if they could actually touch their virtual surroundings! 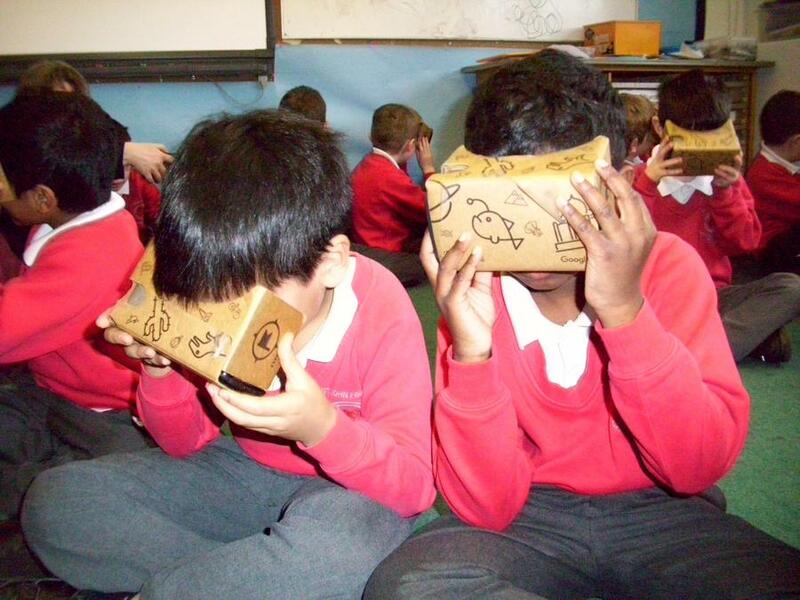 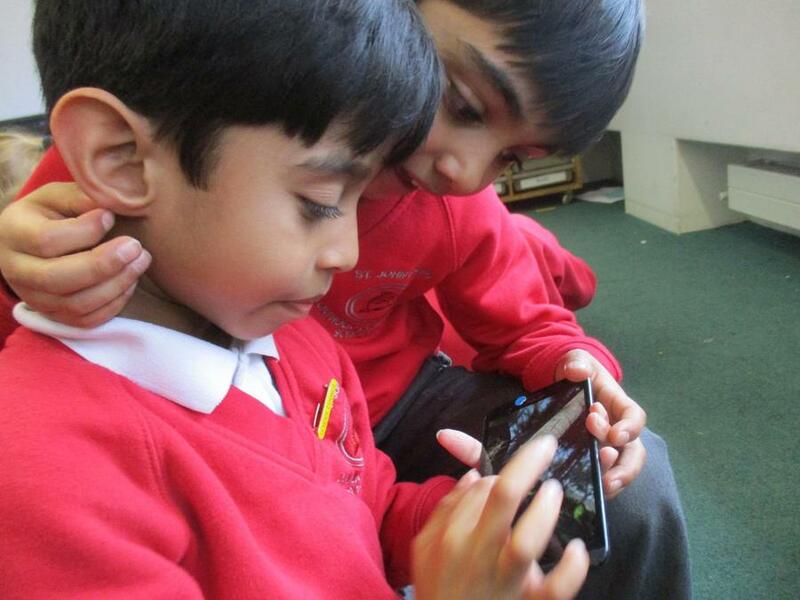 Shaun in Year 5 later recalled: "The Google Expedition activity was so much fun! 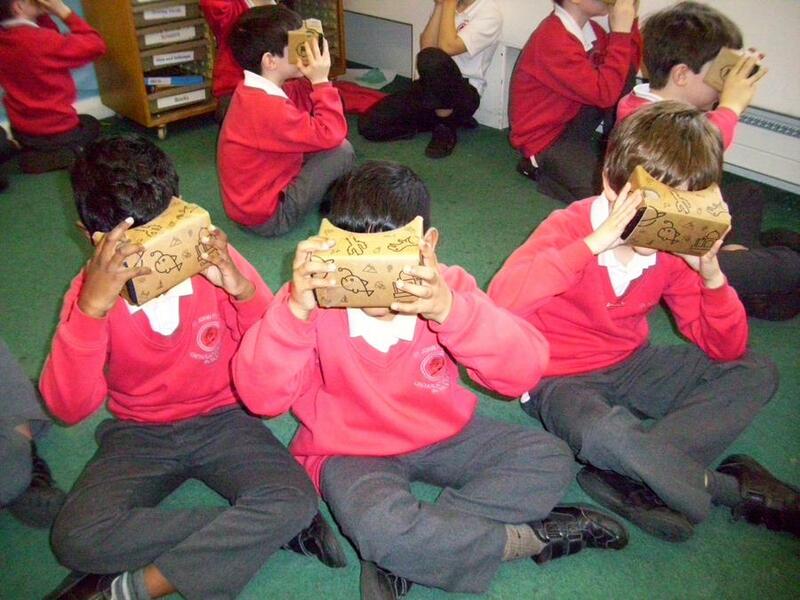 We had to look into the holes and we went into a whole new world. 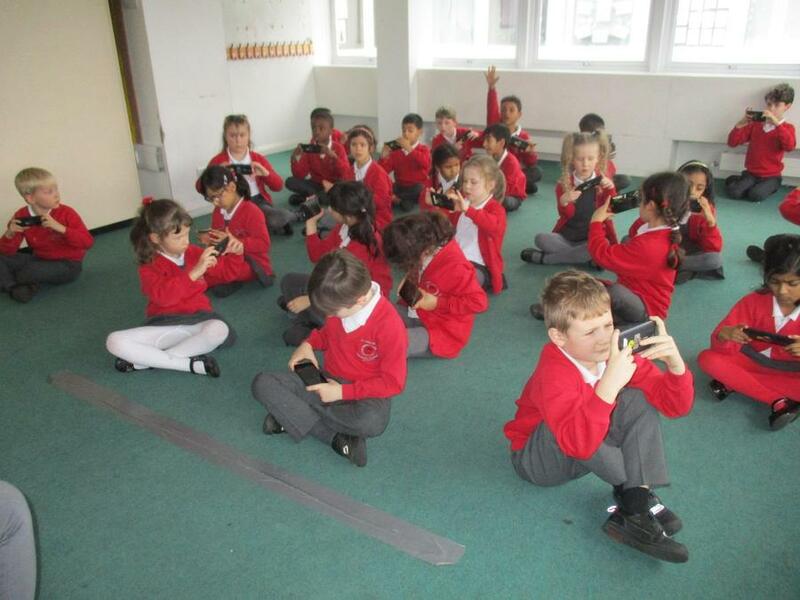 We visited Jurassic times, museums and even into space. 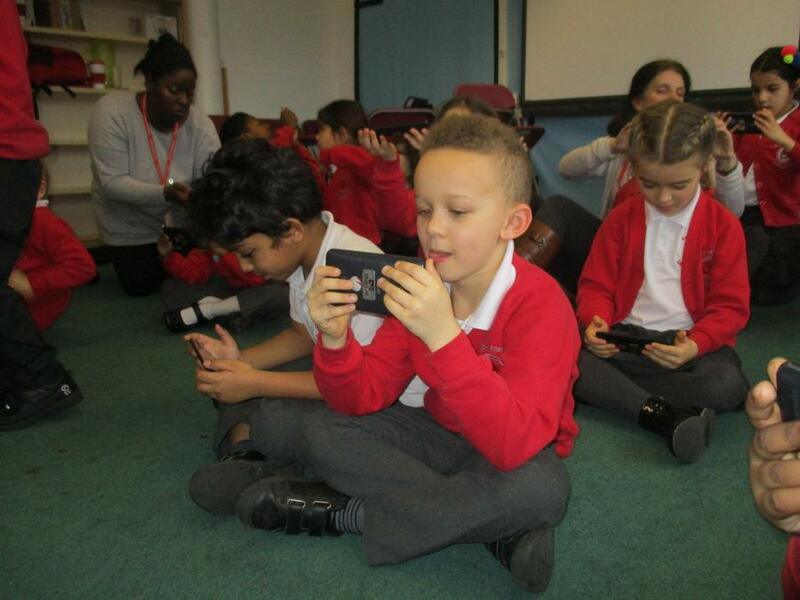 Everyone reacted in an excited way." 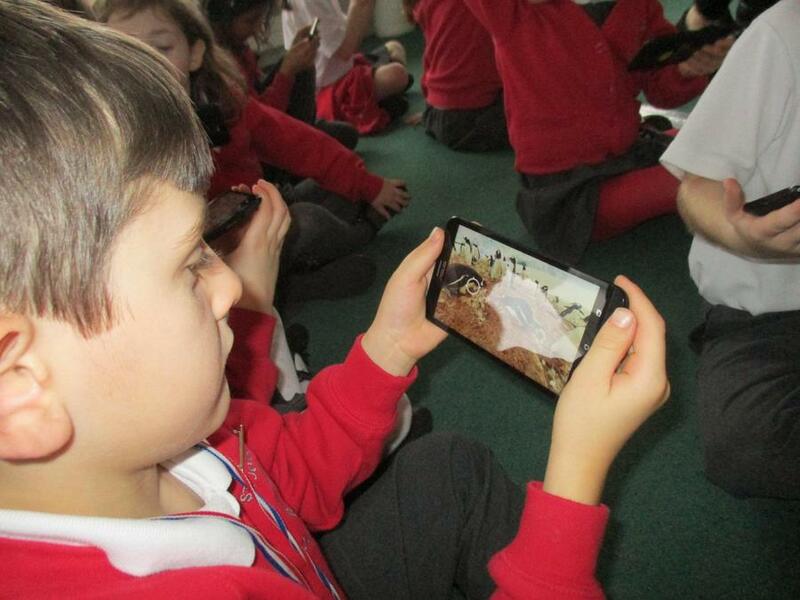 This was a great experience for the children which we hope they will discuss enthusiastically with their families at home.